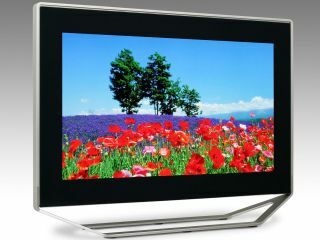 Toshiba plans to bring SED TVs to the Japanese market in 2007, and will buy the panels from SED Inc, a subsidiary of Canon . The company was forced to sell its 50 per cent share of SED Inc to Canon after patent issues between a US company and Canon jeopardised production of the new flatscreen technology. "Toshiba will introduce SED television sets in Japan in the fourth quarter of this year, as it had originally scheduled," a Toshiba spokesperson has told Tech.co.uk. Toshiba also said it would enter into a new agreement with SED Inc in which it would continue to provide support for the development of SED, and would loan Canon its engineers. Canon originally had an agreement with Nano-Proprietary Inc , patent holders of key SED technologies. However, when Canon breached the agreement by including Toshiba, Nano-Proprietary ended the partnership. Despite the changes made by Canon, Nano-Proprietary Inc has made it clear it will continue to pursue its issues with Canon in court. Tom Bijou, CEO of Nano-Proprietary, said the two companies could still enter into a new license agreement on "reasonable terms". SED is a revolutionary technology, heralded by many critics and industry experts as the ideal replacement for LCD and plasma TVs. It uses a combination of LCD and cathode ray tube technologies to reproduce clearer, sharper and smoother images than existing flatscreen displays.